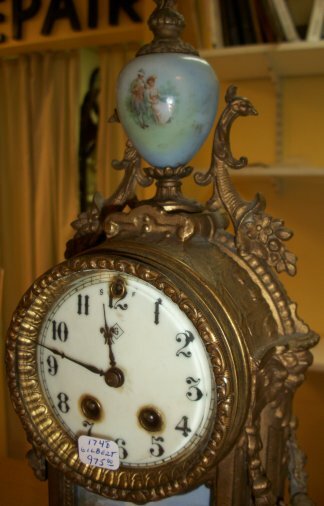 8 DAY MANTLES-1748- Gilbert 8 day metal mantle. 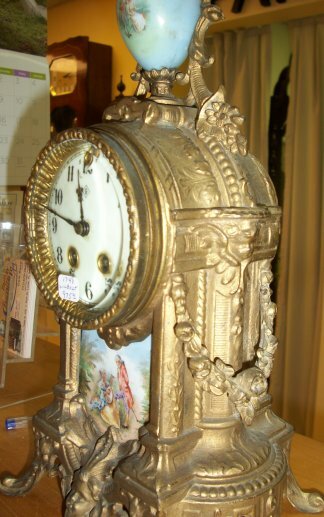 This is a metal mantle clock made by the Gilbert clock company. It is an 8 day time and strike movement. 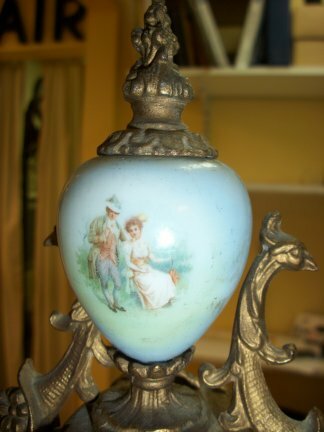 Close up of the top finial made of painted porcelain. 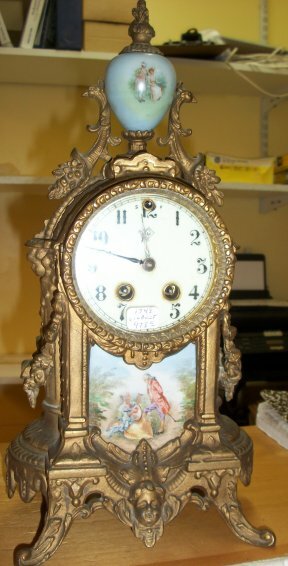 Close up of the top portion of the clock. 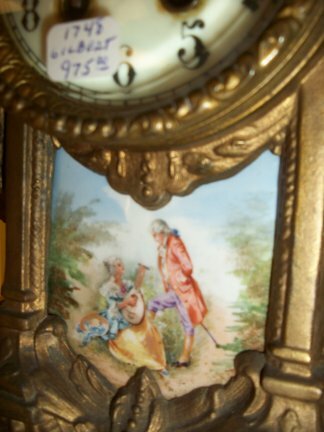 Close up of the bottom painted porcelain tablet.